Eric Burdon & the Animals in Montreal or Quebec City? 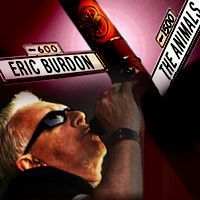 Inform me about the next events for Eric Burdon & the Animals. Enroll yourself to our priority waiting list for Eric Burdon & the Animals to be alerted when new tickets are available. Filling this form doesn't engage you to any purchase. Eric Burdon & The Animals will be back in Montreal on Tuesday, November 18th, 2014. They will be performing at the Olympia. The last time we saw Eric Burdon & The Animals in Montreal was on June 27th, 2010, as part of the Montreal Jazz Festival. Don't miss this exciting classic rock band, whose hits - namely House of the Rising Sun and Don't Let Me Be Misunderstood - are amongst the most popular rock songs in the world !